My office has been hit very hard by influenza (type A) this week. The two people who sit on either side of me have it, as does one of the people across from me, and two who sit behind me. 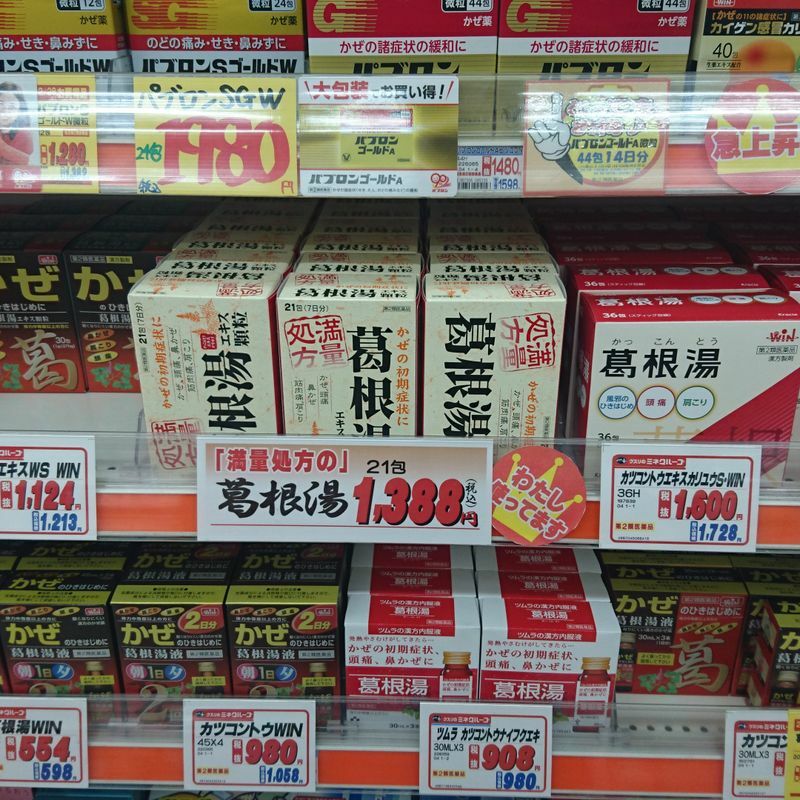 So far, I am okay, but to be on the safe side, I picked up some kakkontou (葛根湯) on my way home today from the drugstore. The first time I ever took kakkontou must have been within my first year of arriving in Japan. I remember going to the doctor early on with bronchitis, and coming out with four or five different kinds of medicine including powders. I had no clue what I had been given and I am not sure I really cared that much at the time as long as it would make me feel better. I do remember being surprised to receive so many different drugs and that some were in powder form. 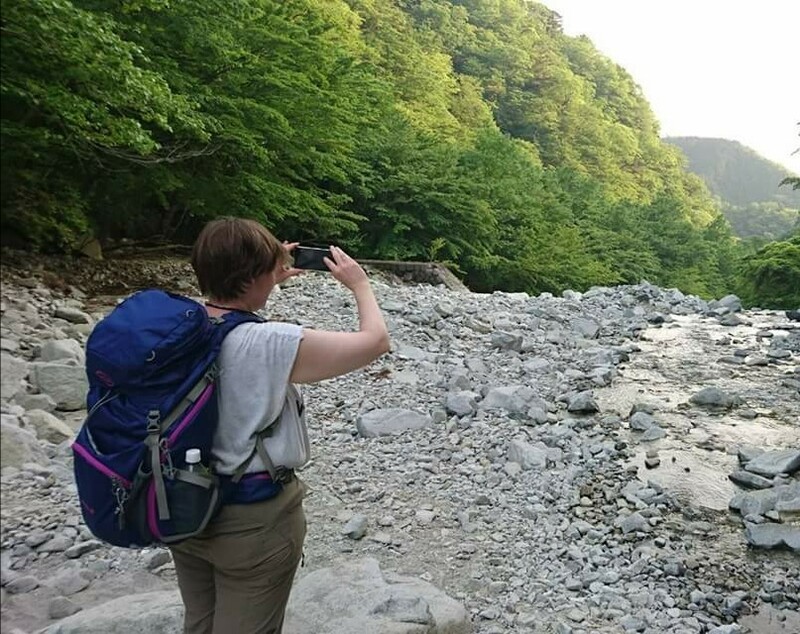 It was quite different than what I was used to back in the U.S.
As I stayed longer and got older, I did start caring about what the doctor was giving me and would ask Japanese friends, and, as the internet became more accessible, look things up. One thing continued to be a bit of a mystery to me and that was the packet of brown powder that my doctors prescribed whenever I had a cold, bronchitis, or the flu. They explained it was "Chinese medicine" and left it at that. I now know that that brown powder they were often prescribing was usually kakkontou. It is an herbal medicine. There is a prescription form and one that can be bought in the drug stores off the shelf, as I did today. The middle shelf is a number of types of kakkontou. It is right in the middle of the section of cold medicines. The main ingredient is kuzu, or kudzu in English. This plant may be familiar to some as an invasive species causing trouble in some parts of the U.S. Here in Japan, where it is a native plant, it is used in some Japanese dishes, such as kuzumochi, as well as to make kakkontou. Kakkontou also contains Chinese peony and licorice, among other herbs (including possibly cinnamon, ginger, ephedra, and jujube—I have never found a clear list of ingredients in English, but these are the ones commonly listed). The brand I get is to be taken 3 times a day before meals, so that is what I do. It is said to help symptoms such as those that appear early on when coming down with a cold, as well as headache, stiff shoulders, and muscle pain. It is most effective, I have been told, before having fully developed a cold or the flu. 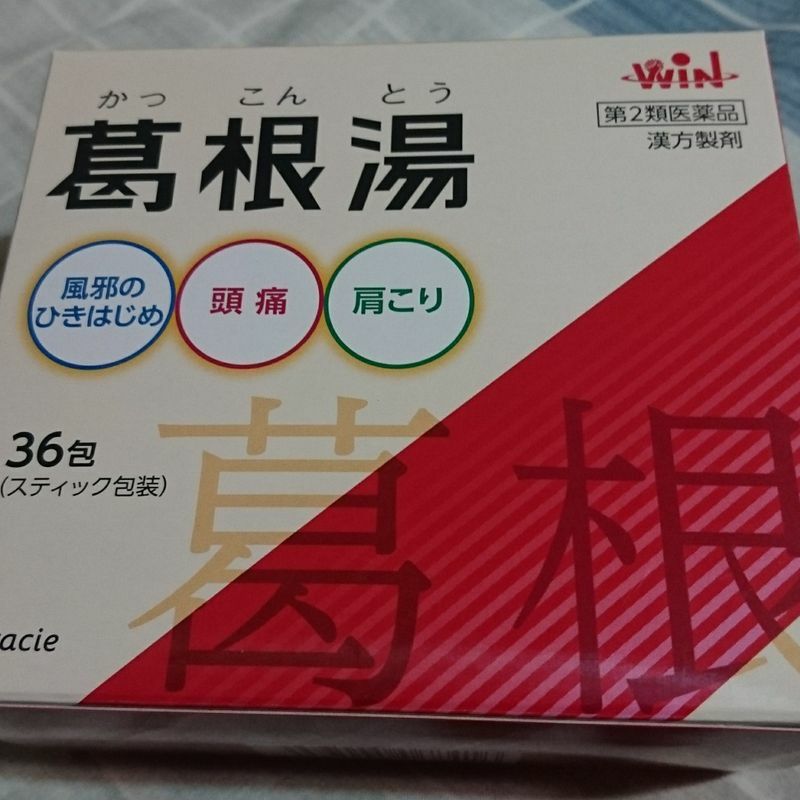 When I lived in Tochigi, the doctors there always prescribed it when I went to see them when sick. I also, once I knew and understood what it was, often bought it from the drug store if I felt a cold trying to take hold. In Tokyo, I have never been prescribed it, so I have always had to go buy my own from the drug store. After reading this I went out and bought some - I felt like I might be catching a cold. Two doses later I haven't seen much of a change but everyone seems to be catching the flu this year and it's worth a try. I'm pretty sure kakkontou is the same thing I was given by my manager when I was 18 and worked in a Chinese restaurant. I had been wondering what it was & looking for it, so thank you! @helloalissa Thank you for reading this! And you're welcome! In my experience, it does nothing to relieve symptoms, but I think it helps bodies to fight and keeps sickness from setting in. Hope you are able to stay well!